And I’ll start with the United Mileage Plus devaluation. As many of you know, I’ve been away the last two weeks, spending a boatload of miles and points on a fantastic (I’d say once in a lifetime but I have feeling I’ll have more / different once-in-a-lifetime trips ahead) vacation through Dubai, the Maldives, and Singapore. It’s kept me largely offline as far as the blog goes (though I’ve kept up on Twitter, Instagram, and the MilesTalk Facebook Group) but the subject I’m about to write about now aboard this Qatar A350-1000 XWB (QSuites) shows why, although this trip cost me an exorbitant amount of miles and points, I wasn’t afraid to do so – because the opportunities may not exist later. As we’ve seen with Delta, even for partner awards which are the sweet spots of most mileage programs, they’ve changed the required miles without warning. Presumably that’s because, in their mind, we aren’t supposed to know those prices exist anyway. Here’s the post I wrote when Delta started revenue based redemptions and here’s the one I wrote about Air France and BA signaling similar moves. Note that Air France has already implemented this – sort of. So what’s happened here? In short (and I’ll keep it short as it’s been well discussed in the news and on other blogs, United Airlines has announced that they are eliminating award charts for flights beginning on November 15th, 2019, for flights operated by United Airlines. No longer is a domestic one-way flight 12,500 miles in coach or 25,000 in business (excluding transcontinental premium flights) and similar award levels for all United flights are now gone when booking past November 15th. No longer can you plan to save up for a particular redemption, because you don’t know what it will cost. To attempt to soften the blow, they have simultaneously announced that they will no longer kick you in the face – I mean charge you a close-in booking fee – when you book an award within 21 days of travel. That fee, of up to $75, was always punitive as booking close to departure didn’t cost United a dime and frankly required you have the kind of flexibility they’d want you to have anyway in order to find a last minute saver ticket. Note that Delta hasn’t charged a close-in fee at all, though they do charge you more last minute in miles as they would a cash ticket. For now, this doesn’t affect partner bookings which will maintain current pricing for the time being. If that was guaranteed to be permanent, I’d get over the changes pretty quick. But it’s anything but guaranteed. The United PR spin is that this allows them to make more (all, really) flights available for redemption. They just recently announced certain routes would price as low as 5,000 miles. Of course, those flights are super cheap for cash, just like how that works with Delta. I see, to my surprise, some bloggers that are even saying this is, in some ways, a net gain for coach flyers. That’s the same we’ve heard for Delta flyers since the change. And if you hang with me on this post, I’ll explain why it’s not a win for anyone except one group of people. Wait, Just Tell Us Who Wins?! If you earn all of your United miles by flying (not credit card spend), want the simplest possible redemptions, and don’t care about either premium cabin redemptions or getting maximum value for your miles, congratulations, you win!! What United will be doing, in the near term just on UA flights but in the long term, who knows, is roughly peg the redemption price to a cash value. With Delta, on Delta flights, you tend to average 1.1. to 1.3 cents per mile when redeeming. Sure, they have Flash Sales that can bring the mileage price way down to exactly what they used to charge 1-2 years ago, but unless you put in the effort on partner redemptions (which I hope you do!!) that’s all you get. When you have a strong loyalty program with aspirational awards, you win twice as an airline. For one thing, people will go out of their way to fly you and to spend on your credit cards because they want something in return. That’s the definition of airline loyalty. Putting aside elite perks for the moment, generally they are spending the firm’s money now on the airline of their choice so that they can take a great vacation with their miles later. For the most savvy flyers, they will quickly see their miles are worth less than they used to be and reevaluate their loyalty. But when people spend miles on something fantastic, they tell their friends. They become your #influencer. Nobody tells their friend “Hey, I just spent 950,000 miles for a round trip business class ticket to Australia! Not even ONE MILLION!” Note that the average miles award to Australia on Delta these days is 475,000 SkyMiles – each way, so that’s not hyperbole. As well, these programs are all heavily tied to making money from the credit card companies that buy their miles. With miles reduced to being worth just over a penny, why would *anyone* put spend on a co-branded miles earning credit card? And then at what point do the banks realize that even THEY are overpaying and demand to pay less? In my opinion, this looks good to bean counters in the short term but will bite the hand that feeds them long term. 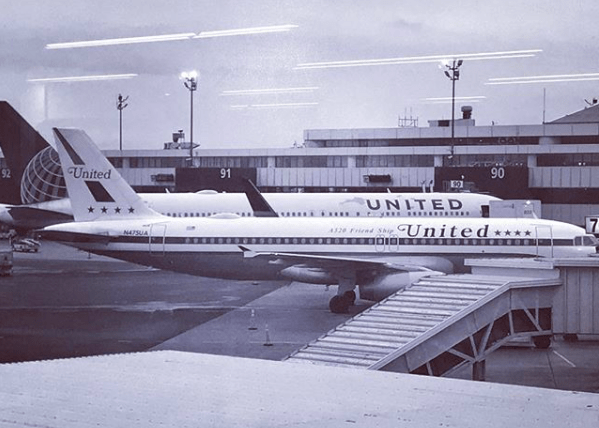 What will United miles be worth post-devaluation? They are likely to shift this slowly, like Delta, so that we won’t see the erosion of the mileage value all at once. I wouldn’t be surprised if they target the same general 1.1-1.3 cent range, but we’ll see. I’m currently thinking about how I plan to adjust my value of United Miles on the Milestalk Miles and Points Values page. Clearly they are headed lower. This also lowers the value of United miles as a currency in the YourBestCreditCards credit card rewards calculator – since that multiplies the miles you earn via spend by the value of the mile. What about Expanded Elite and Mileage Plus Credit Card Holder Award Availability? That remains with cards like the United Explorer Card. The fare bucket used for those will stick around – for now. You just won’t know what price it will be at. The general “lowest level” award bucket will also remain for partner bookings. So you can still use, for example, Aeroplan to book on UA planes if they release that space. It remains to be seen if availability levels for this fare bucket change. Certainly if they become rare, the cards are devalued as well. Is American Airlines next for Revenue Based Redemptions? That’s a safe bet. They’ve already implemented a variety of tiers in their AAnytime awards and it won’t be hard to add more tiers. I’m not sure their current IT can handle true revenue based redemptions so it may take them some time. That said, I’d love to see American Airlines seize on this as an opportunity to differentiate themselves. Alaska still has both earnings and redemptions based on award charts and seems t appreciate the differentiation that gives Alaska’s MileagePlan program. I rarely fly Alaska as a NYer, but when I have the chance I do. I love earning Alaska miles. And if I can credit a partner, like BA, to Alaska, I’m excited to do so. One of the reasons I rank AA as the most valuable US domestic mile (at 1.5 cents) is the variety of great airlines you can redeem for in premium cabins, including First Class. They also have very generous award ticket rules, such as charge less to cancel a 2nd and subsequent ticket on an award and allowing free date changes to a ticketed award. And while many bemoan the state of AA’s service and equipment (their 737 MAX planes are among the least comfortable planes out there, current safety issues notwithstanding), it can be worth being loyal to AA to earn those valuable miles. Likewise for their credit cards. C’mon AA, you can do it! As I said at the start, this is a good reminder to earn and burn your miles and points for amazing trips now. We don’t know how we’ll be able to spend them later. OK – so how do we keep the dream alive? We make sure that we are earning on a diverse range of transferable points. Earn one or, if possible, all four transferable currencies: Chase Ultimate Rewards, American Express Membership Rewards, Citi ThankYou, and Capital One. The United devaluation don’t have any impact on using, for example, Amex or Citi points to transfer to Avianca to fly a Star Alliance partner up front and at very reasonable rates. If you really want to get in front of this, evaluate if another frequent flyer program may be better for you to credit to than one of the US big-3. If you fly United all the time, you could choose another Star Alliance member to credit your flights to. You could still earn status and use those benefits when flying United, but you’d be collecting a much more valuable mile. And for the time being, with no effect on partner awards (yet), it should be mostly business as usual for someone skilled at using miles. This hurts those that don’t spend their time talking about this online, like at the MilesTalk Facebook group, and will have no idea what’s happening. They may even simply see some awards cost less now and really believe United made things better…. Do you agree or disagree with me? Let me know here, on Twitter, or in the private MilesTalk Facebook group.